For Kindle Paperwhite 4, please read this guide. For Kindle Touch, Kindle Paperwhite 1/2, please read this guide. If your Kindle Paperwhite 4 doesn’t meet any demand of those, please don’t try this method. Or you may take the risk for bricking your Kindle. If you just get your Kindle Paperwhite 4, I highly recommend you skip the Wi-Fi connection step to avoid the auto system update. After jailbreaking the device, it will keep jailbroken even if you update the firmware to a higher version. If your KPW4 is already connected to Wi-Fi, but doesn’t upgrade the firmware yet, I also recommend you disconnect the Wi-Fi at first. 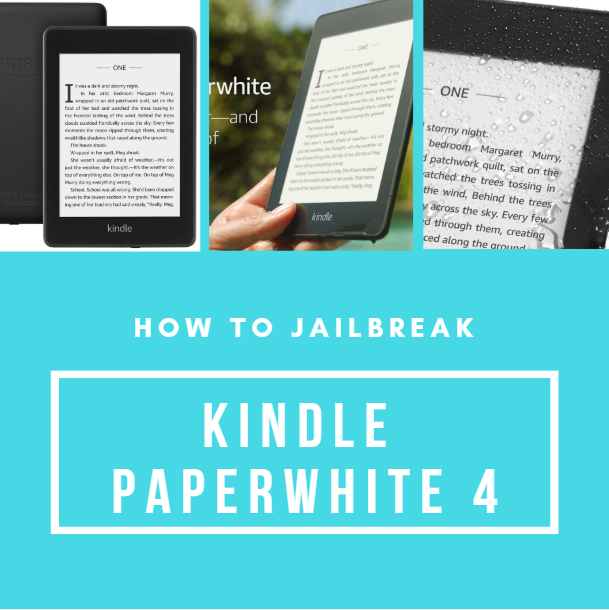 To jailbreak a Kindle Paperwhite 4 is similar to the previous generations, at first you should install a specific firmware, then run the jailbreak script, finally install a patch to keep your Kindle jailbroken. After that, you can install a bunch of plugins to enhance your Kindle’s capability. Be patient, wait for the specific firmware to install, don’t press any button, just leave it alone. This step may take longer than 30 minutes. When the firmware is finished installation, the Kindle will restart automatically. Kindle’s screen will flash and restart, if so, you can go on. If not, please repeat the previous steps. After the restart, your Kindle will be jailbroken. Your Kindle Paperwhite 4 will keep jailbroken if it updates to newer system version. All installed plugins will be gone if Kindle’s system is updated. In theory, system update doesn’t make a jailbroken KPW4 to un-jailbreak. However, if you are worried about someday Amazon finds a way to block jailbreak by a new firmware version. You can suspend Kindle’s auto system update feature by a small trick. You can create a folder called “update.bin.tmp.partial” and place it to KPW4’s root path. Just leave the folder empty. This magic folder can stop KPW4 from auto-updating.